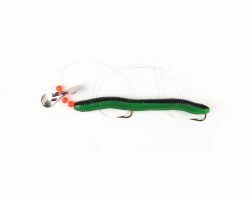 I have used fire tails in Indiana and North Carolina and Bass justbkill these worms. I keep my tackle box well stocked with them. 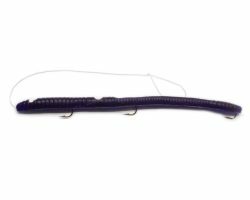 Since I reviewed in 2014, the purple fire tail just keeps getting better and better. I use senko, mepp’s gold with squirrel tail, rapala and some other plastics once in a while. None of these ever give me 10% of the big bass action of the the this Kelly worm. My tackle fits in my pocket. Even the folks with live minnows are amazed at the fish I catch. I have shared them with friends, most become instant converts. 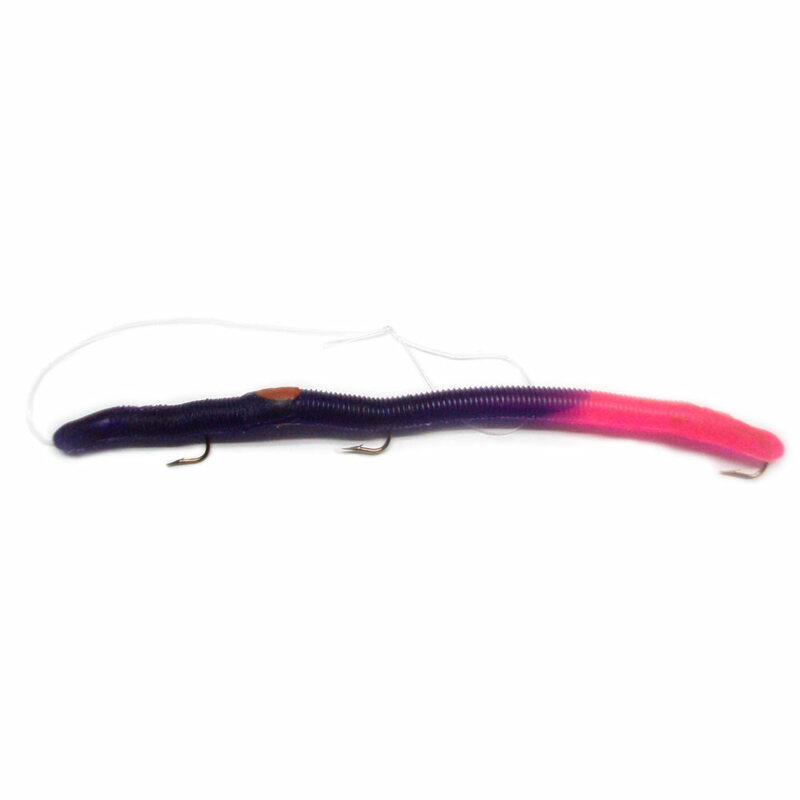 I used the purple firetail when I fished a lot in my younger days (over 20 years ago). I didn’t have much money and it was one of the few lures I had. I lived it. Now I’m get back into fishing and I’m so excited to see these are still around. I ordered 1 of every color and 3 of the purple firetails. No kidding, I have caught dozens of monster bass on the purple fire tail. Today, on Kayak float down beautiful Cheat river in West Virginia probably caught 40 Rockbass. What fun!!! 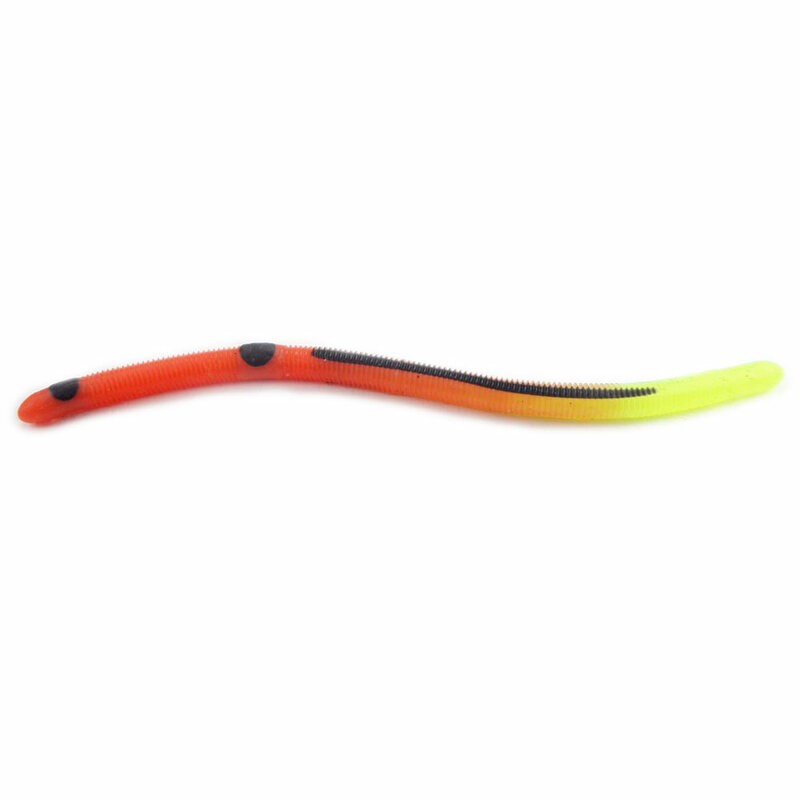 I ordered a variety of worms from this site, 16 of various models and color, no repeats. I haven’t even gotten through 2 Packs of the 16 and I have some favorites. One was actually a free sample, the Firetail Pumpkin-Seed/Chartruese Firetail. I came on here to find it and found that it was a freebie on my invoice. Fishing with it at dusk, it is a Bass/Trout star. Very impressesed. 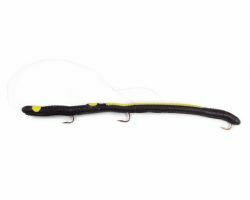 I was weary of the small hooks, but was surprised that the bass are getting double hooked a lot of times with the front and back hook. 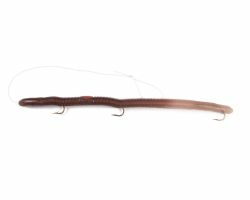 The worms are also showing they are tough, multiple catches on the same worm. I am 10% in the weeds kind of caster 🙂 so a tough worm set up is nice. 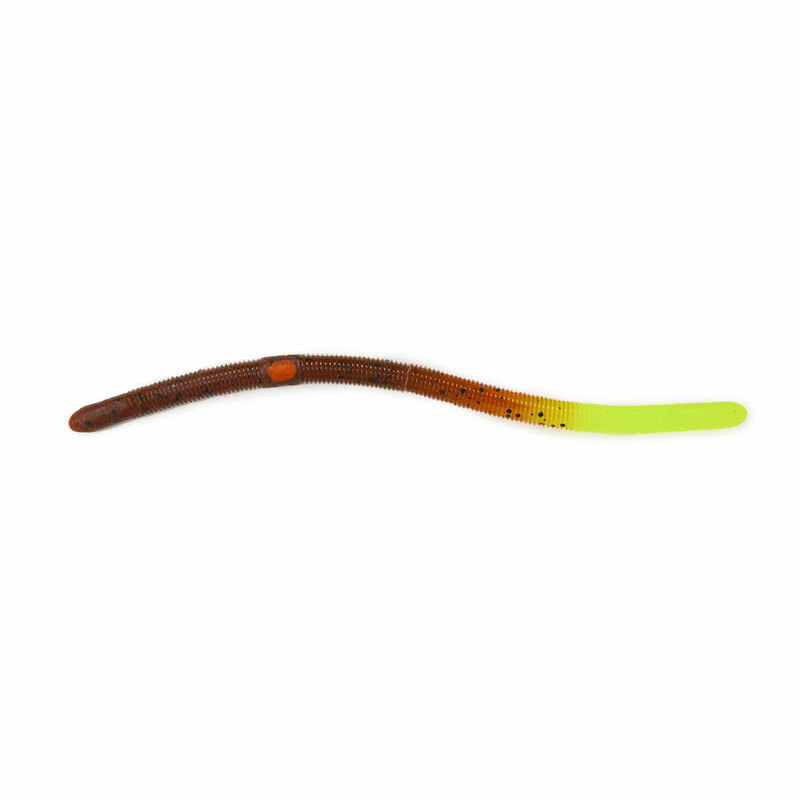 We are attaching these pre-strung worms to a swivel off the rod the ends with a clip. Just hook the on the clip, or change to another color quickly. Awesome. Sell the Pumpkin one BassTackleUSA!!! You will find the Pumkin/Chartuese Firetail soon in the Firetail section. Thank You for the feedback, I really appreciate it. 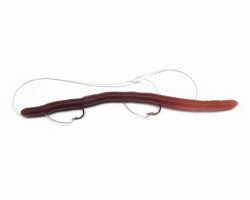 I have used these worms all my life and I’ve caught bass, bluegill, and catfish. 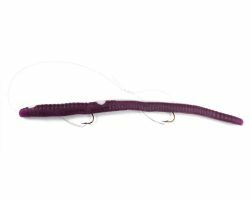 If you want to catch big large mouth bass, Kelly Purple firetail’s are the way to go. I have been using these for over 10 years. 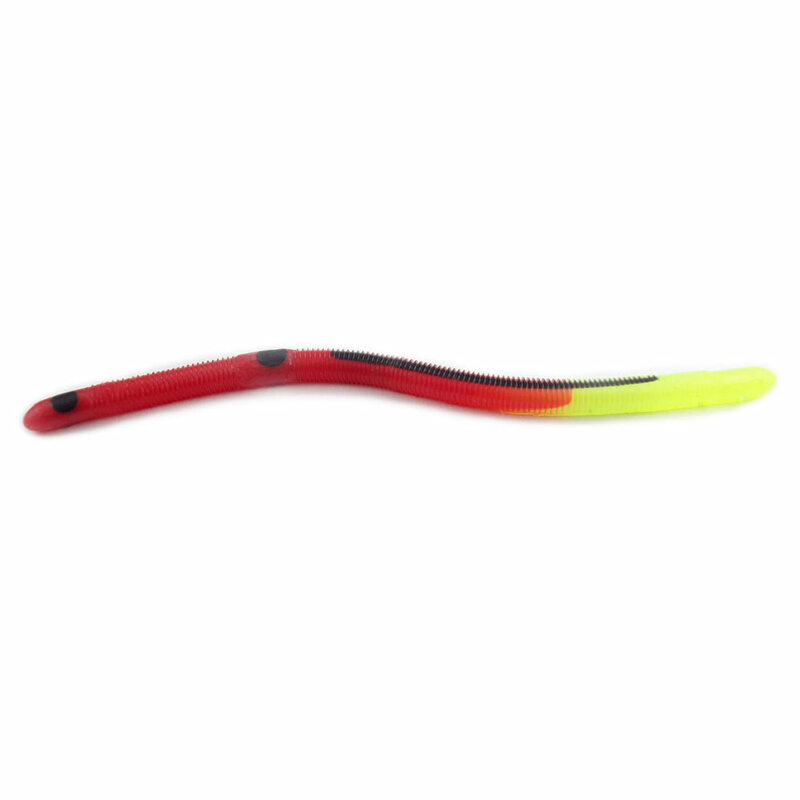 They are always my go to lure. When nothing else works, you will catch something with these. I have always been a huge fan of the purple firetail. Have not really tried any other colors because I have always had awesome luck with them! You guys are awesome Thanks for many years of awesome fishing. Started fishing with these yesterday when a friend introduced them to me. We fished at a pond where we hadn’t pulled out a big bass in a couple years and we pull out three 7 lb. + fish. 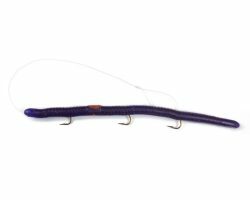 You only need one piece of tackle if you have a Kelly’s purple fire tail.